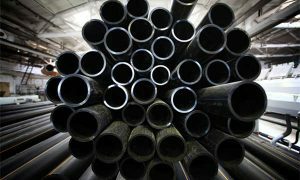 Sour services steel pipe is applied for pipelines in the corrosive environment. As we know, line pipe corrosion is an important factor affecting its safety service and service life. 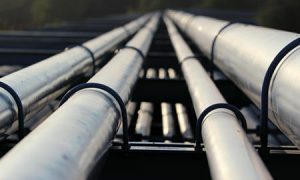 It will cause the leakage of oil and gas pipeline, some cases even explosion. 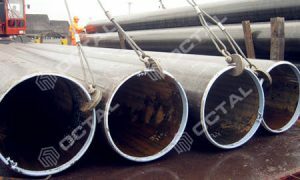 Pipe corrosion has a big threaten to personal safety and environment pollution, so the production of sour service pipe is important. 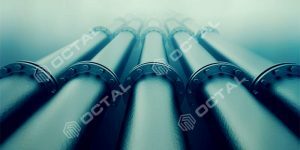 At present, the manufacture inspection standard for acid pipe mainly according to API Spec 5L. 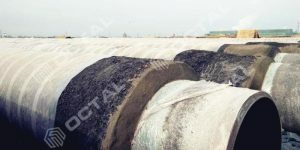 Sour service pipe mainly used in H2S environment. While H2S is a harmful chemicals that mostly easy to generate the corrosion. 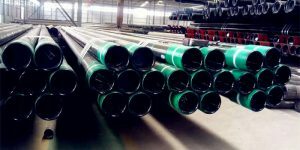 According International regulation: When partial pressure of H2S reaches 300 pa, the line pipes used shall have the anti-acid corrosion performance.Sour service pipe includes NACE pipe. 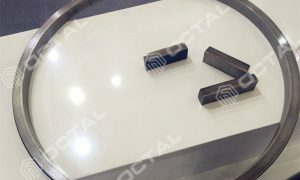 It shall be noted that, the high purity of steel can guarantee low S, P and other impurities. 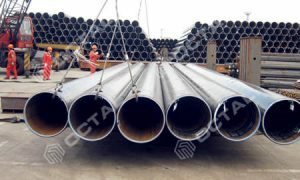 In addition, the standard for the control and inspection of the inclusion shape of pipeline steel for sour service pipe is required. Because the hydrogen induced cracking caused by the inclusion is first determined in its form. 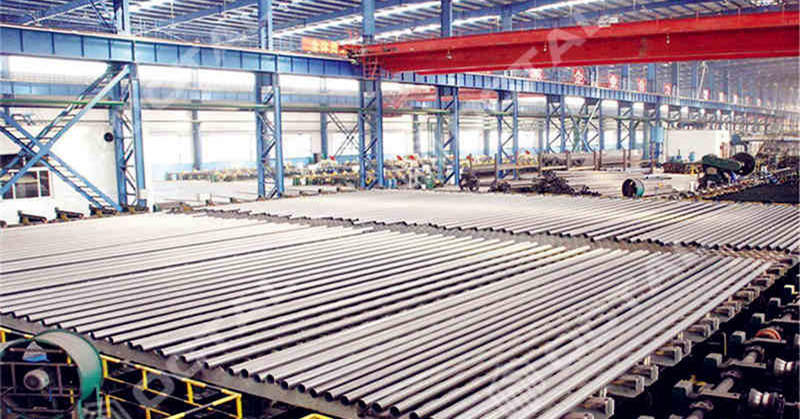 Moreover, As the pipeline steel production generally adopts controlled rolling process. Inclusion occur deformation during the rolling process. 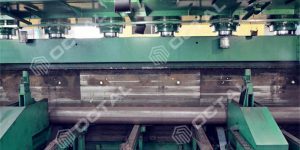 It is called linear or long strips in the rolling direction, leading to anisotropy of line pipe steel. 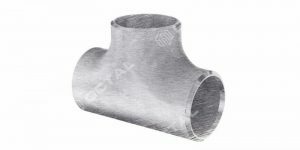 Consequently, In order to improve the corrosion resistance of steel line pipe, the slag form should be controlled. 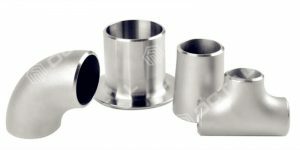 The content of C, P, S and carbon equivalent in the chemical composition of sour service pipe is relatively low than the normal line pipes, with a strictly control requirements. 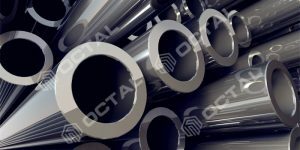 Especially for the content S, it is extremely harmful element in the corrosion environments, so for sour service pipe should control S maximum 0.002. C and carbon equivalent: With the mass fraction of carbon increases, the HIC sensitivity increases. 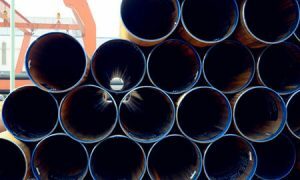 The reduction of carbon and carbon equivalent can improve the H2S corrosion resistance of pipeline steel. And it will generate the harmful martensite formulas, which is very sensitive to H bubbles for the hot rolled steel. 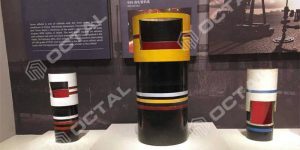 The P element is an easy to segregation element, so the increase of phosphorus mass fraction will lead to the increase of banded structure, thus increasing the sensitivity of the steel HIC. S element can promote the occurrence of HIC, the higher the sulfur content of the pipe body material, the easier to produce HIC. 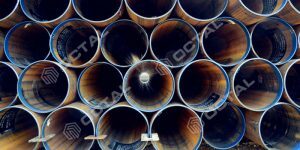 In addition, the anti – SSC performance of the pipes with high sulfur content is poor. When the manganese content reaches 1.6 %, the hic resistance of the steel is not significantly affected by the manganese. 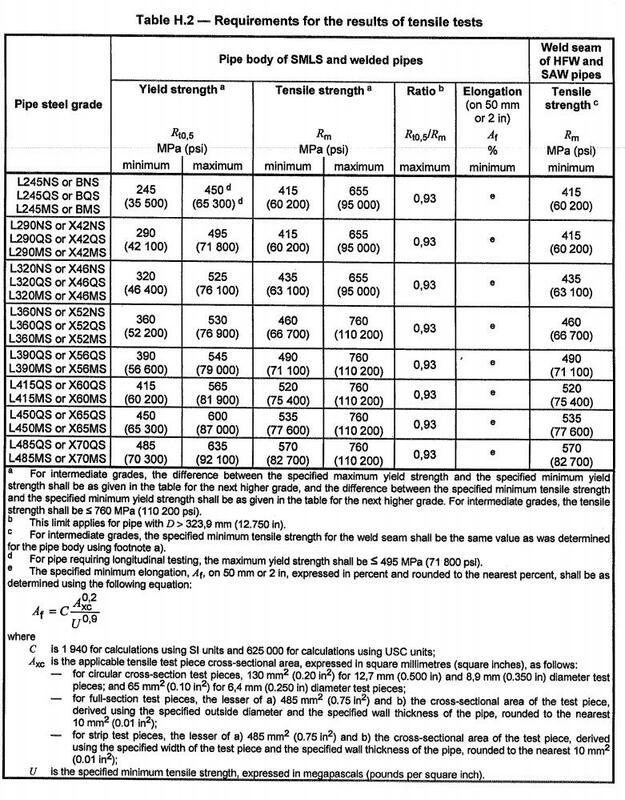 If carbon less 0.02%, even if the manganese content exceeds 2.0%, the pipe still has good HIC resistance. 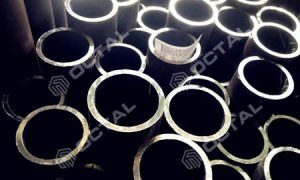 The hardness of the sour service pipe is strict, because the hardness value has a great influence on HIC. 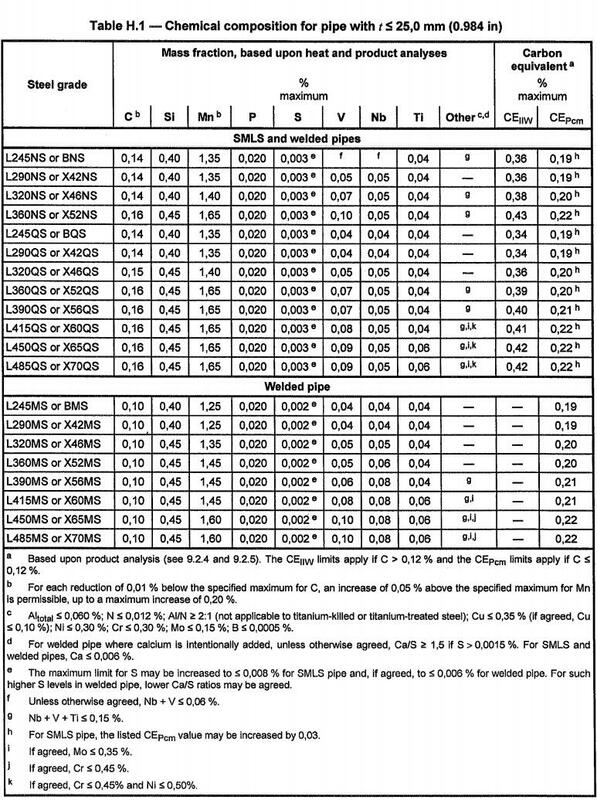 The results show that in low and medium strength steels, the higher the material strength, the greater the hardness, the stronger the HIC sensitivity. 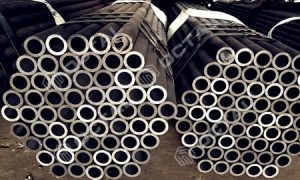 In API 5L for sour service pipe, the hardness value of the base metal, weld and hot zone should not exceed 250 HV10. 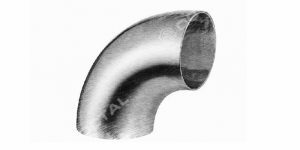 The hardness of the sour service pipe is more strict, because the hardness value has a greater impact on HIC. 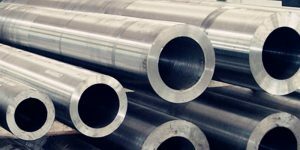 The research shows that the higher the material strength, the greater the hardness, the stronger the HIC sensitivity in low and medium strength steel.